A new study into the effect of electronic cigarettes on the heart had positive results. Update: Professor Carl Phillips has published a blog post pointing out that this was a small study which examined only one aspect of the effect of e-cigaretts on the heart. He argues that while the results are positive, this does not show that e-cigarettes do not damage the heart any more than the recent airways study passage shows that e-cigarettes damage the lungs. Update 2: Dr Farsalinos kindly agreed to an interview with the Ashtray Blog, which was carried out on our behalf by researcher Paul Bergen. Click here to read! Electronic cigarettes cause no risk to the heart according to a new study presented at a European Society of Cardioligy conference. The study, conducted by Dr Konstantinos Farsalinos, compared the effect of using electronic cigarette on the heart to that of cigarettes. Speaking at the conference, Dr Konstantinos Farsalinos also pointed out that a vaper (e-cigarette user) would have to use an e-cigarette for 4-12 months to get the same amount of nitrosamines found in just one cigarette. For more detail, check out Electronic cigarettes do not damage the heart on the European Society of Cardiology website. This is a breakthrough for e-cigarettes. 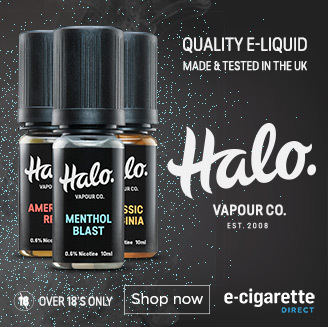 I work for the NHS in England, where many smoking cessation advisers have already objected to vaping, on the rgounds that is has not been clinically tested. So they assume it must be potentially dangerous – not a very ‘evidence based’ response. More objective research like this study could help to change their (and public) opinion. But I could have wished the scientist had not been named ‘Dr Farsalinos’ – it kinda lacks credibility somehow! Thanks, Gef, it is just one of a number of studies that has come out recently which have shown positive results for the electronic cigarettes.